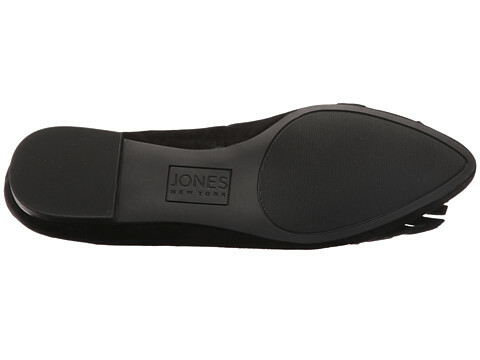 The Jones New York Steff flat is on the cutting edge of fashion. 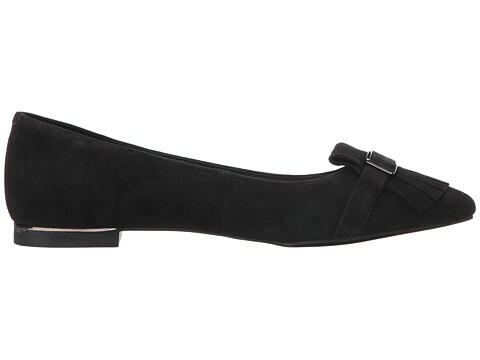 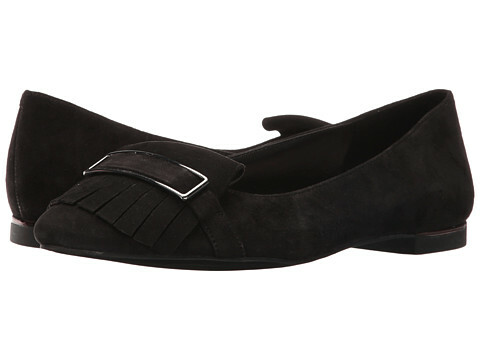 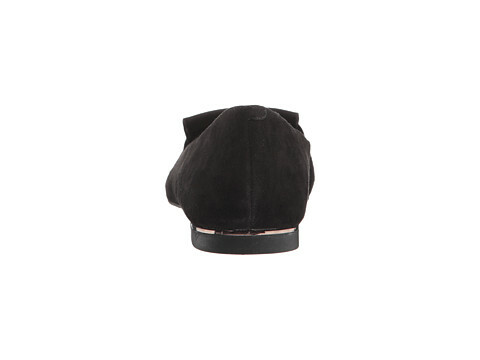 Suede upper features kilty detail with metallic accent. 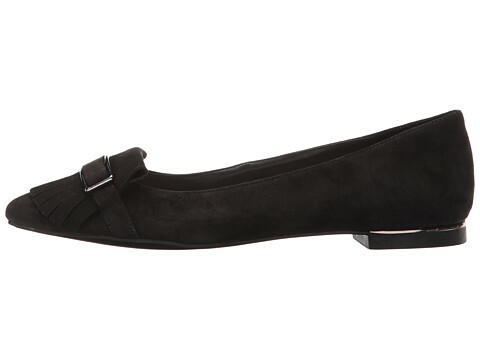 Low heel with metallic trim.